Billionaire hedge fund manager George Soros warned that the machine learning and artificial intelligence used in creating China's Social Credit System is creating "an unprecedented danger that is threatening the very survival of open societies." Soros, the founder of the Open Society Foundations, defines an open society as "a society in which the rule of law prevails as opposed to the rule by a single individual and where the role of the state is to protect human rights and individual freedom. " "People will then be treated accordingly," he said. Soros called the Social Credit System "frightening" and "abhorrent." He pointed out that China is not the only authoritarian regime in the world, but he noted that it's the most developed in machine learning and artificial intelligence. "This makes Xi Jinping the most dangerous opponent of those who believe in the concept of open society," Soros said. While his speech concentrated mostly on China, Soros noted that open societies have “many more enemies,” most notably Putin’s Russia. Soros said China’s Xi has “declared his hostility to open society,” but the Chinese people remain the "main source of hope” for open society. Later on, Soros said President Donald Trump is "notoriously unpredictable," but noted that his administration's China policy is the "result of a carefully prepared plan" from officials like Matt Pottinger, the White House National Security Council Senior Director for Asian Affairs, and outlined in a "seminal speech" by Vice President Mike Pence. 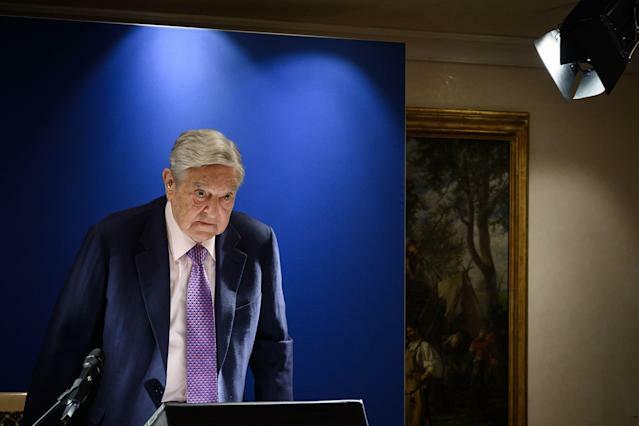 Even so, declaring China a strategic rival is too simplistic, according to Soros. He noted that China is an important global actor. An effective policy towards China can’t be reduced to a slogan, he said. At the time, he accused the tech giants of “exploiting” social environments and causing “a variety of problems,” and even suggested that the companies could be tempted to “compromise themselves” to gain access to markets such as Russia and China.